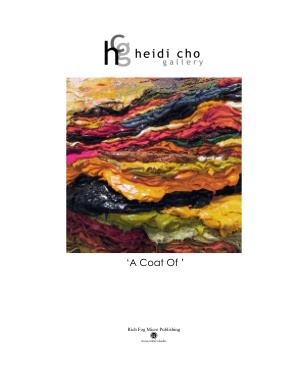 ‘A Coat Of’ is a 24 page, 8.5 by 7 inch gallery catalog for a group show at the Heidi Cho Gallery with a forward written by Marilyn Rosenberg. Nine artworks are illustrated in color with a perfect bound, grey, textured cover. Quantity of 15 - cost $20 ea.